Choosing the right doggie door is an important decision. You’ll be taking a chunk out of your door to install this thing so it’s important you get things right the first time. There are nearly as many doggy doors on the market as there are things to consider when choosing one. You’ll need to work out the right size of door for your dog, the right material to suit your home and climate, the level of security or automation you desire in a door. These are all elements that can quickly overwhelm people—it’s tough, we’ve all been there, and we don’t blame you for a second for seeking advice. 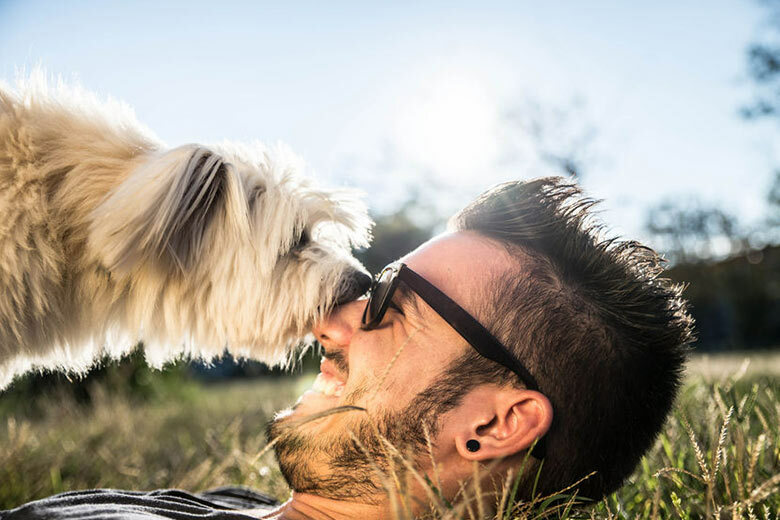 We’ve had a look at what’s out on the market these days and put together a list of what we think are the best doggy doors available. There’s a variety of shapes and sizes here and they won’t fit every person’s situation so, at the end, we’ll give you some tips for making the right decision the first time. This is a solid and simple doggie door with everything you’ll need to keep your pooch coming and going with ease. The Staywell® Original 2-way is simplicity at its best, boasting a weatherproof flap, closing barrier and available in three different colours to suit most homes. Available in white, brown or silver, the Staywell® Original 2-way is a popular choice for the medium-sized pet. This is a great little doggie door for security door installation. The Pig in Mud flap is made of a hardy clear transparent vinyl, allowing the dog to recognise when the door is locked before bumping into it and causing potential injury. This is a highly hygienic door. The flap is made of FDA compliant plastic, meaning micro-organisms will struggle to grow on its surface. This impressive little doggie door also features a lock-in lock-out system using reinforced plastic to keep ensure your door remains secure. The Dogmate Large Dog Pet Door is a strong doggie door, perfect for the larger dogs in our lives. The door is made from a strong plastic of 50mm thickness and perfectly suits most types of doors, panels and wall surfaces. The Dogmate is a 2-way lockable door and comes in three attractive colours: white, brown and grey. Measuring 366mm x 441mm, the Dogmate Large Dog Pet Door will suit a dog with a shoulder height of 630mm (25 inches). This is a nifty little doggie door for the smaller animal. The 200 Series is a 4-way lockable doggie door with a modern design that can be mounted on glass doors or sliding windows. The door can be locked or unlocked completely, set to only allow access to the house or exit. The 4-way system allows for great freedom and planning for your small dog’s outdoor time. Perfect for small dogs weighing up to 10kgs and measuring 180mm in width, this modern clear plastic design is slim, subtle and attractive. Measuring 20cm x 23.5cms, the PetSafe Screen Pet Door is perfect for animals weighing up to 13kgs. This simply designed but strong doggie door is perfect for installation into fibreglass surfaces, swinging or sliding doors or fly screen doors or windows. Made from heavy duty ABS plastic, this door’s frame is durable and made tough to withstand our tough Australian climate. This door is lockable from the inside. This aluminium-framed doggie door isn’t only tough but carries a lifetime warranty. The Pig in Mud aluminium frame allows the door to seal properly within itself, stopping insects or dust from entering the house. The flap is made of a hardy clear transparent vinyl, allowing the dog to recognise when the door is locked before bumping into it and causing potential injury. Designed for large cats and small dogs, the SureFlap® Microchip Pet Door is for the security-conscious dog owner who enjoys technological advancement and the odd gadget. This door is not only made of tough transparent plastic, but reads your dog’s microchip before it allows access. This smart doggie door is perfect for keeping unwanted cats and dogs out of your house, while keeping your dog inside when you want it so. Here’s how it works: the SureFlap® Microchip Pet Door is equipped with a curfew mode that allows the owner to dictate when and to what animal the door will allow access. This gadget door comes with a possible 12 months battery life, a manual lock option, a RFID collar tag and a 3 year warranty. This is a fantastic doggie door option as there is no cutting of the door required. The PetSafe® Deluxe Patio Panel Pet Door locks into an existing sliding glass door frame, allowing your dog to come and go without putting a permanent hole in your door. The panel is made from a heavy-duty aluminium frame that supports a panel of shatter-resistant, tempered safety glass. The flap is weather-sealed, preventing energy loss from the home and comes with a reversible locking system. Suitable for medium dogs weighing up to 18kgs, the PetSafe® Deluxe Patio Panel Pet Door is a favourite for its reusability and customisation. Petway is a great little Australian company that produces some fine pet doors.  The Petway® Security Pet Door is just one of their doggie door products and is made with some tough materials, perfect for demanding Australian conditions. Available in 3 sizes and 6 attractive colours, the Petway® Security Pet Door is made from heavy-duty UV stabilised plastic. Easy to fit and only requiring simple tools for installation, the Petway® can be mounted without removing the door. The Petway® Security Pet Door is a simple option, built slim but tough. This is the Rolls Royce of doggy doors and may be beyond your requirements.  If you’re keen for an investment that will exceed $300 however, then the PetSafe® Passport™ Intelligent Pet Door might be the doggy door for you. The PetSafe® Passport™ Intelligent Pet Door will recognise up to 20 pets by using radio frequency identification technology. The door will be able to recognise special tags you attach to your dog’s collar. These are easily programmable using a USB port and act as a kind of electronic ‘key’ for the door. This doggy door will not only recognise all your pets and keep out unwanted animals and strays, but can also be programmed to only allow access at certain times of the day. The ‘Smart Mode’ can be set to in/out, in-only or out-only and audible alerts can be turned on to signal when a pet is coming or going. 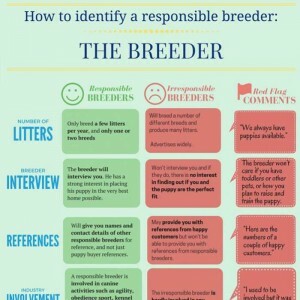 We hope this product guide narrows down your list a bit when it comes to choosing the right door for you and your pet. It’s a big investment, buying a doggy door, especially when you’re required to cut a hole in your wall or door to fit it properly. The most important things to get right the first time are: getting the right size for your dog, making sure the doggy door you decide on will fit your door or wall and choosing a suitable colour to blend in. If you’re in a built-up area, then security or automated doggy door systems may be best for you. If you’re in the country, perhaps a doggy door with a simple locking mechanism is all you’ll need. 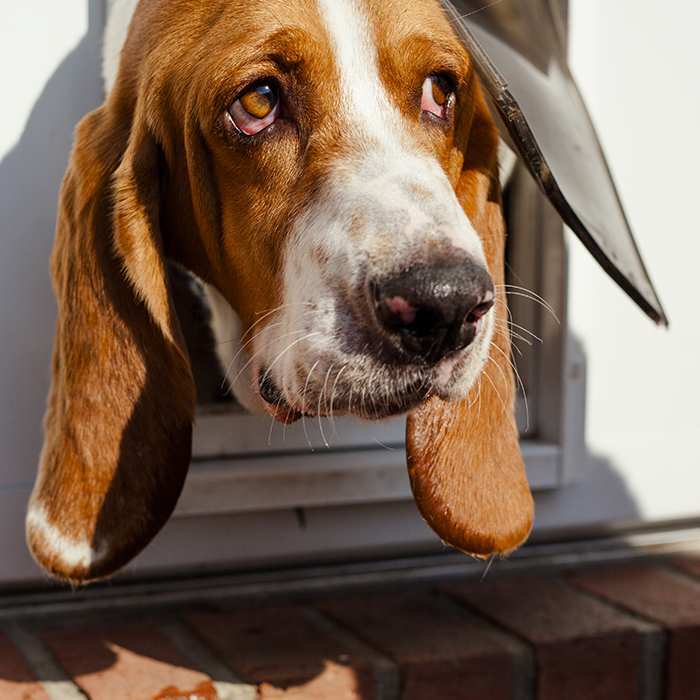 Whatever kind of doggy door you decide on, make sure you take into consideration the cost or difficulty of installation, as well as any warranty the company offers.